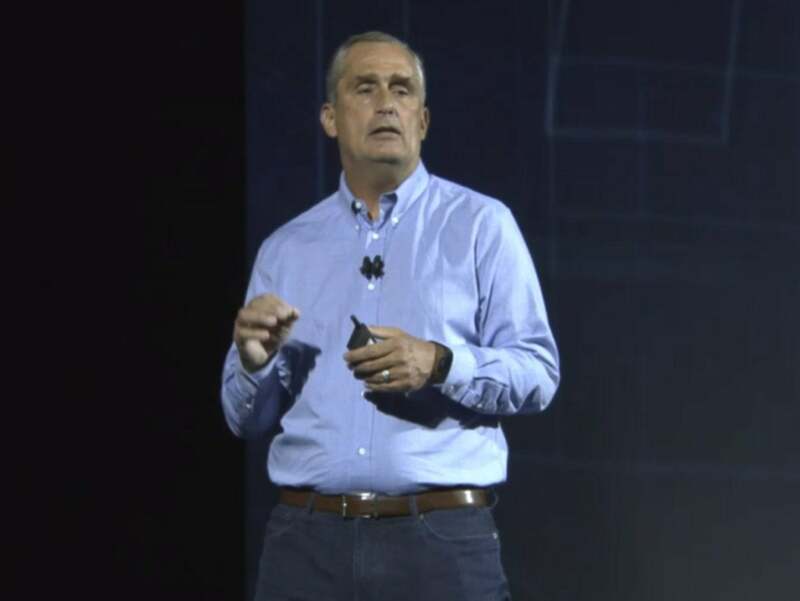 "Security is job #1," Intel chief executive Brian Krzanich tells CES attendees. Intel’s keynote at CES on Monday night contrasted the company’s slickly produced showcase of new initiatives—culminating in the introduction of a 49-qubit chip for quantum computing—with the hard realities brought on by the Meltdown and Spectre vulnerabilities. Though Meltdown and Spectre are industry-wide problems affecting chip companies like ARM and Intel, plus operating-system vendors, browser makers, and cloud-computing companies, Intel has been the face of the issue. Chief executive Brian Krzanich reiterated that, to his knowledge, the company had not seen any data loss as a consequence of the vulnerabilities. Krzanich assured the audience that Intel was committed to addressing the Meltdown and Spectre vulnerabilities. “Security is job #1 for Intel and our industry,” he said. It does appear Intel is taking it seriously. The Oregonian reported that Intel has formed a new group, called Intel Product Assurance and Security, designed to lock down the company’s processors. The group will be led by Leslie Culbertson, a former director of its finance organization. It will also include Steve Smith, an Intel vice president and general manager of its engineering group. It was Smith who explained the Meltdown and Spectre vulnerabilities to investors last week. Coincidentally, Smith was also the Pentium manager who explained Intel’s FDIV bug to reporters 24 years ago. 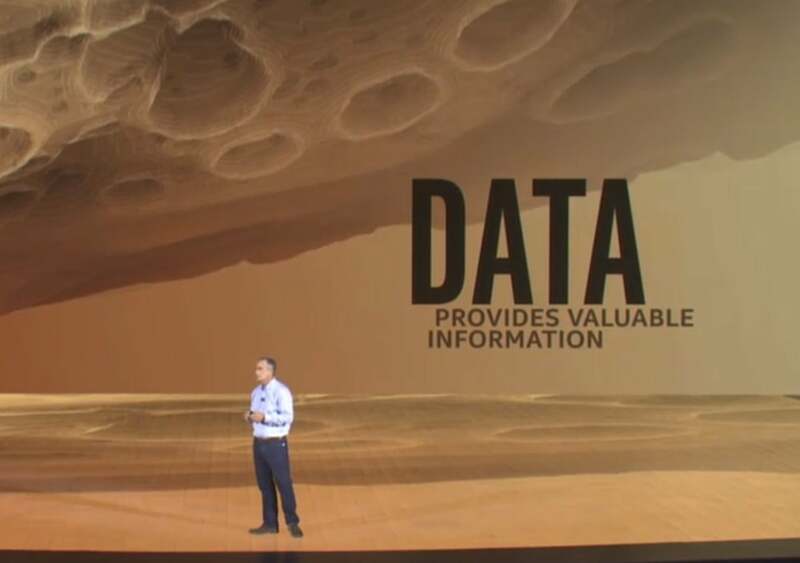 Intel chief executive Brian Krzanich speaks at the 2018 CES show in Las Vegas. Krzanich spent the rest of his keynote reiterating some of the investments Intel has made in technologies designed to improve live sporting events and movies. Not surprisingly, Intel’s goal is to tap into and harness the applications that require the most data, and thus generate the most demand for its chips. The sports and movie applications involve several high-definition cameras that not shoot an event as it happens and translate it into “voxels,” or a three-dimensional representation that can be viewed from several angles. An NFL football game recorded this way will generate three terabytes of data per minute, Krzanich said. Data will continue to drive Intel’s product development, Krzanich said. Intel will branch out soon. We're told it's broadcasting thirty events from the Winter Olympics in South Korea in a month’s time, both live and on-demand in VR. A separate initiative, known as Intel Studios, used 100 cameras mounted in a giant circle to shoot a scene from all angles simultaneously, creating a voxel-based representation of the shot. Intel still has plans for PC chips, too. On Sunday Intel released detailed descriptions of the Kaby Lake-G chips, Core chips that include a semi-custom Radeon Vega part from supposed rival AMD. Krzanich showed off another new chip during his keynote, and it's a doozy: A 49-qubit chip for quantum computing. Intel, like other manufacturers, have been busy exploring the possibilities of quantum computing, which discard the traditional binary ones and zeroes for superpositional states that can represent several additional values. By using these quantum chips, Intel and others believe that they can solve problems of much higher complexity than traditional silicon microprocessors—though Intel and its rivals have invested billions in continually improving those chips. Loihi, an Intel chip designed to simulate a brain, is one of those chips that Krzanich mentioned as an example. 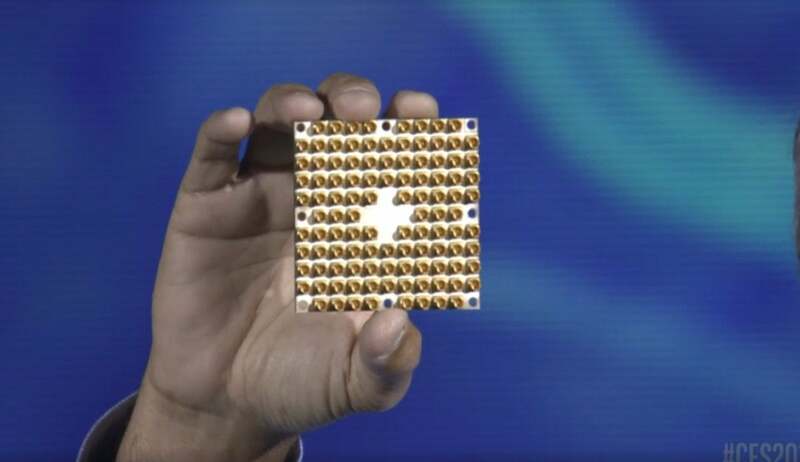 IBM, one of Intel’s chief rivals, has developed a 50-qubit chip that it reportedly brought to CES. “This 49-qubit chip pushes beyond our ability to simulate and pushes towards quantum supremacy, the point at which quantum computers far and away surpass the world’s best supercomputers,” Krzanich said. “We expect to solve key technical challenges that must be overcome to move quantum computing forward,” Krzanich added.